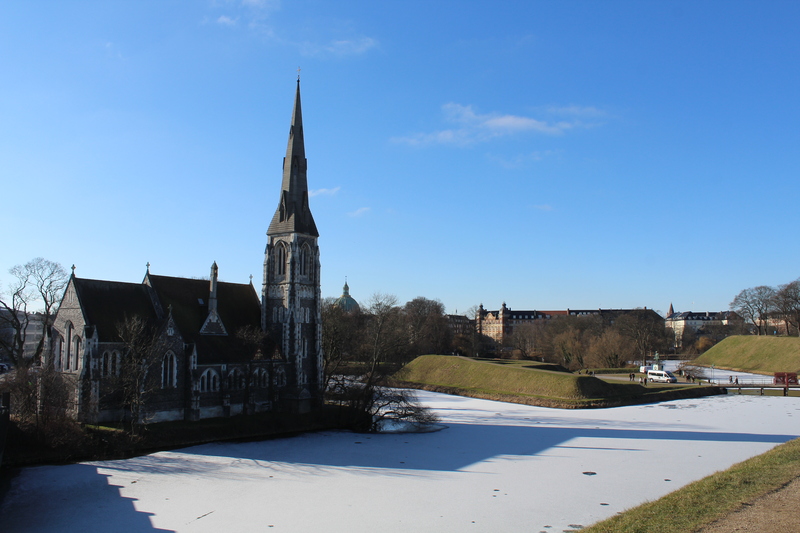 Vinter i København februar 2018 – besøg fæstning Kastellet, København Inderhavn, Amalienborg Slotsplads og Nyhavn. Copenhagen Inner Harbour. 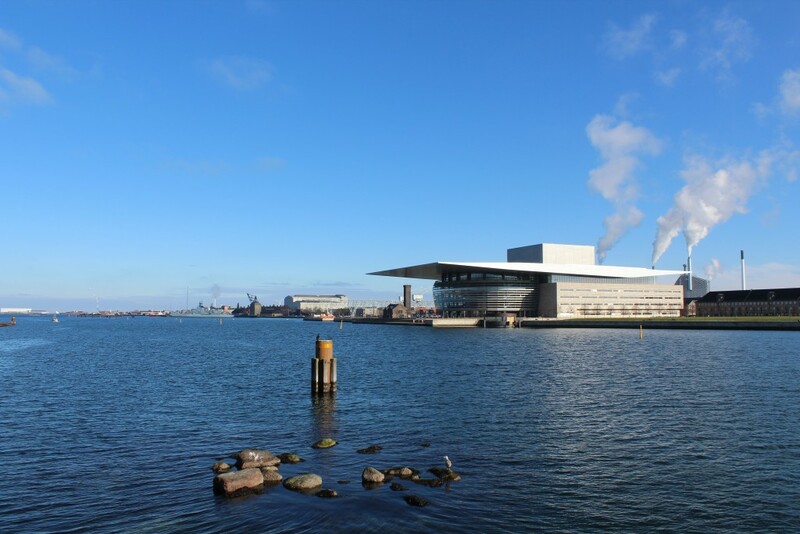 View to Copenhagen Opera. 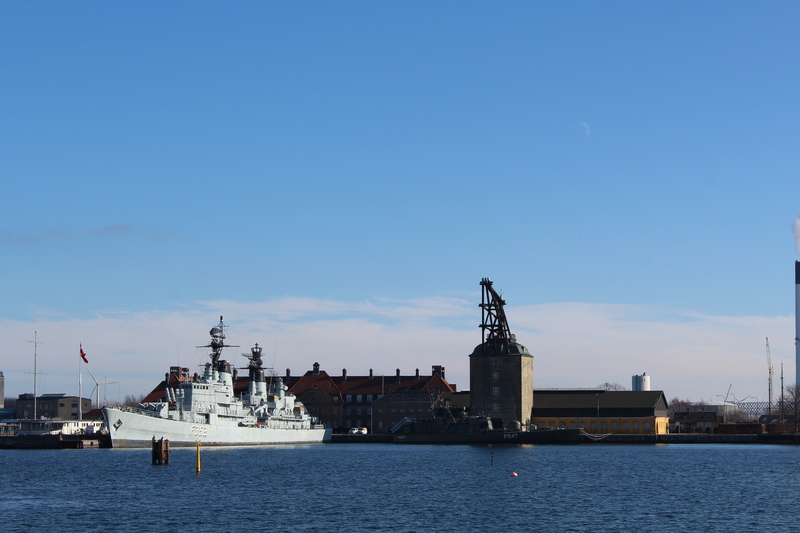 At left former Naval Base Holmen (1680-1989) with 2 cranes of former shipyard (1927-89) on island “Dockøen”. At right A.P.Møller Maersk Head Quarter. Photo in direction west around 11.45 AM 22. februar 2018 by Erik K Abrahamsen. Copenhagen winter – thursday 22. february 2018. 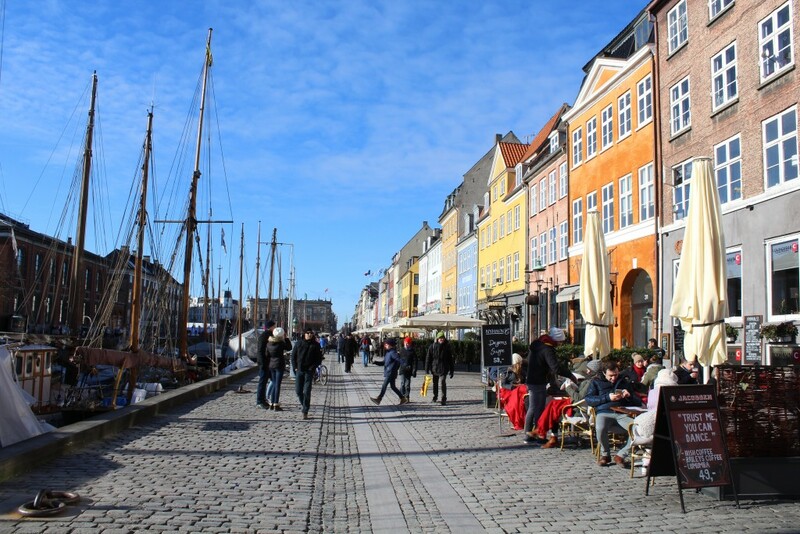 Copenhagen is an more than 1000 year old city situated close to the sea – Øresund Belt between Denmark and Sweden. 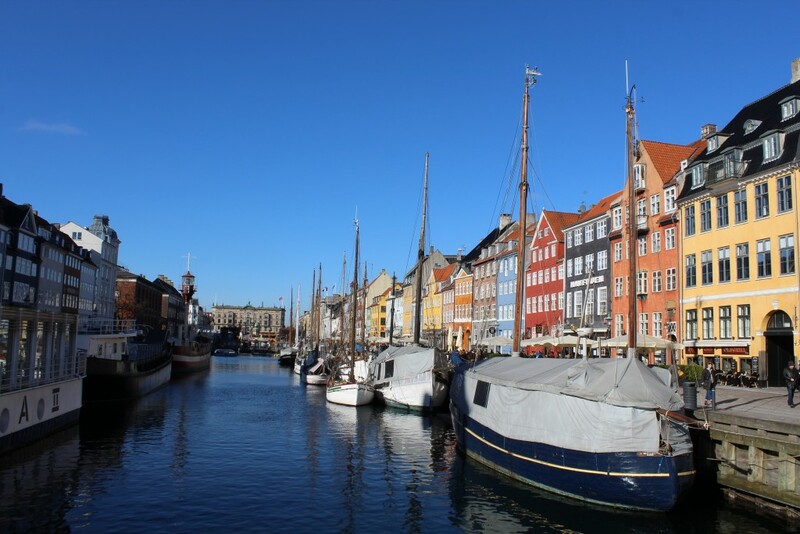 In winter season the old city and Copenhagen Inner Harbour – surrounded by parks, lakes,canals and bastions with rampart and moats in Christianshavn are extremely beautiful with blue sky, sunlight and cold air. 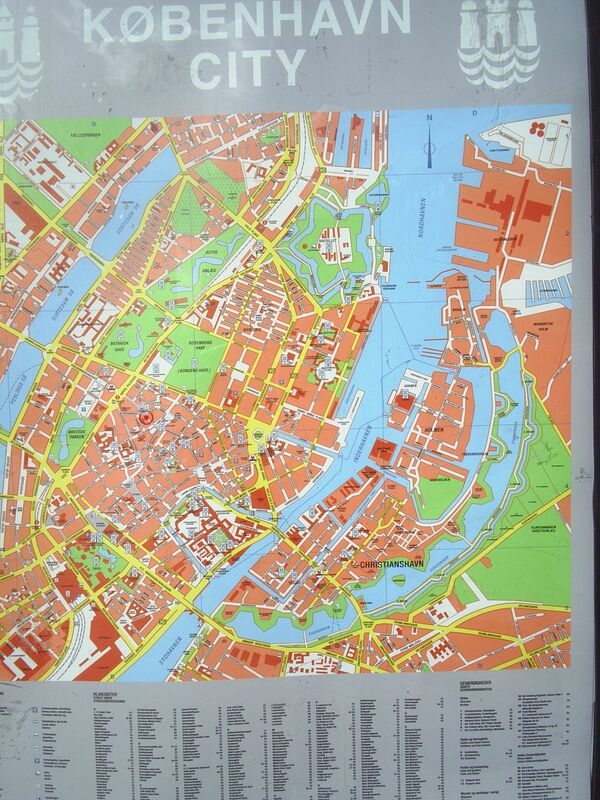 I will guide you on a walk from Fortress Kastellet on Østerbro Quarter in north through Copenhagen Inner Harbour to Nyhavn Canal in south. Fortress Kastellet built 1661-64. View to ramparts and moats. At left Prince Bastion and at right Kings Bastion with Holland windmill built 1847 on top and in the distance 1 km away you see 60 m high Dome of Marble Church built 1750-1894. Photo in direction south 9.45 AM 22. february 2018 by Erik K Abrahamsen. Norther Gate Norway Gate – “Norgesporten” to Fortress Kastellet. Photo around 9.50 AM 22. february 2018 by Erik K Abrahamsen. Norway Gate. 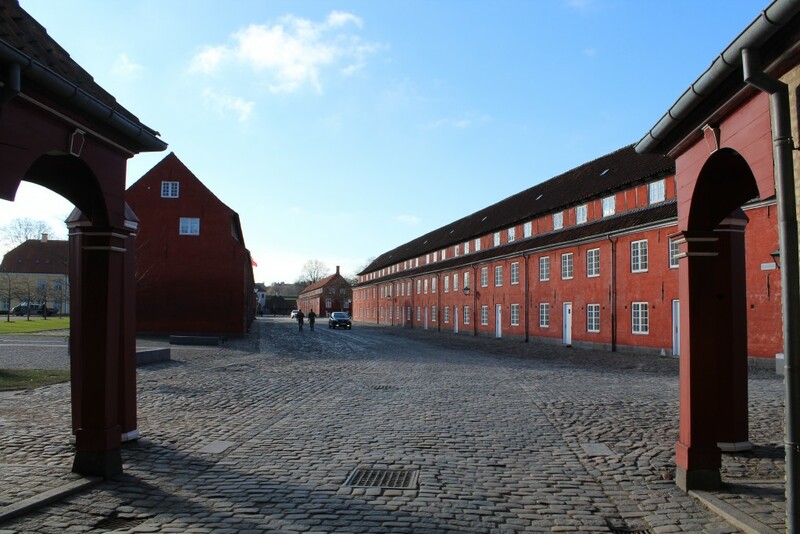 View to principal route through Kastellet to main gate Kings Gate “Kongeporten”. View in direction south 22. february 2018 by Erik K Abrahamsen. surrounded by read barracks built 1661-64. Fortress Kastellet. View to drill ground, Kastelkirken built 1703, prison behind the church built 1725 and Holland Windmill built 1847on top of Kings Bastion. Photo 22. february 2018 by Erik K Abrahamsen. Fortress Kastellet. Commander Building built 1725. Photo in direction east 22. february 2018 by Erik K Abrahamsen. Castellum Novum with only 3 bastions built 1620-60. Map of Copenhagen around 1650 – former Fortress Kastellet “Castellum Novum” 1620-60 with only 3 bastions. 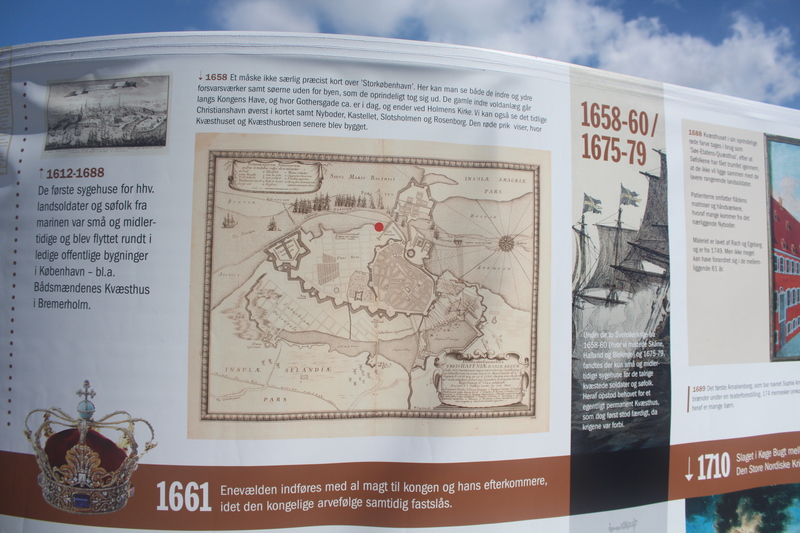 Plates of history of Kvæsthusbroen and Ofelia Place 1600-2016. Photo 2. july 2016 by Erik K Abrahamsen. Principal route between the 2 gates in the fortress: Kings Gate (Kongeporten) in south and Norway Gate (Norgesporten) in north. 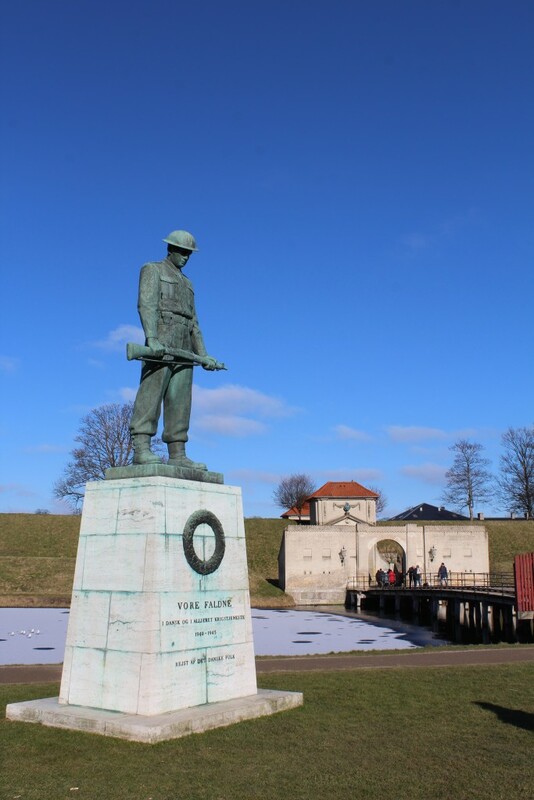 Fortress Kastellet. 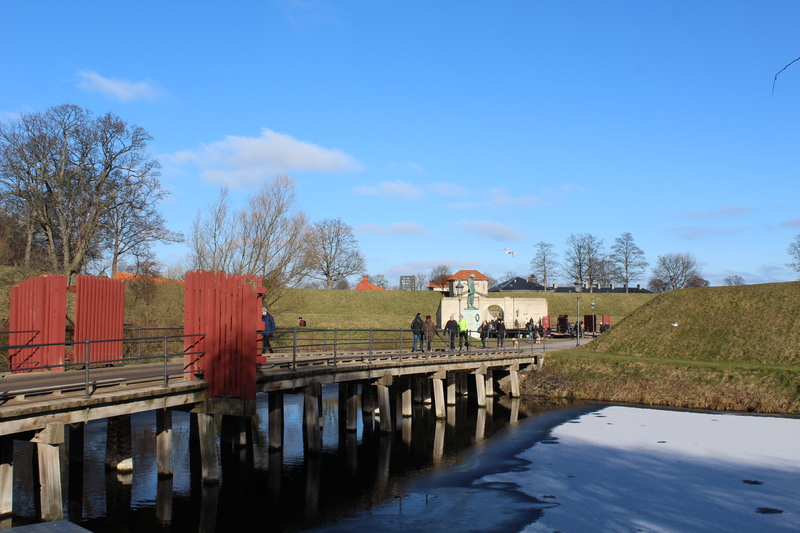 View to principal route between the only 2 gates in Fortress Kastellet: Kings Gate (south) and Norway Gate (north). Photo 22. february 2018 by Erik K Abrahamsen. 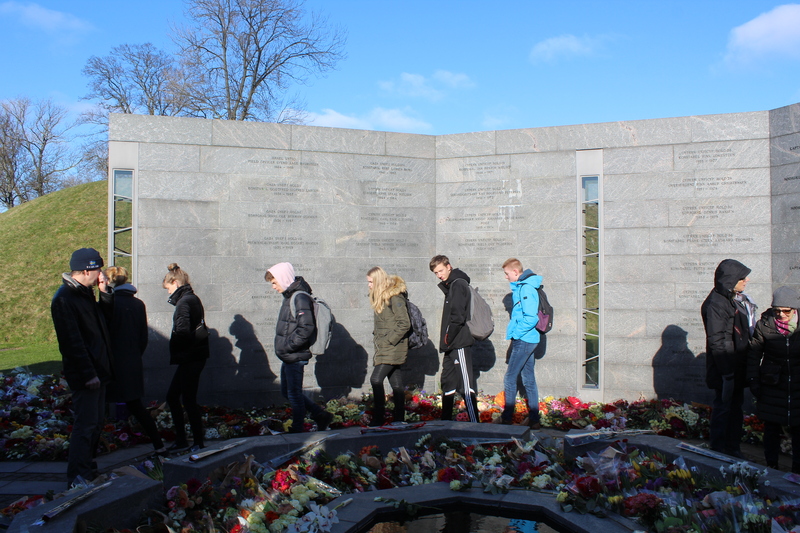 Monument over Danmarks Internationale Indsats siden 1948. 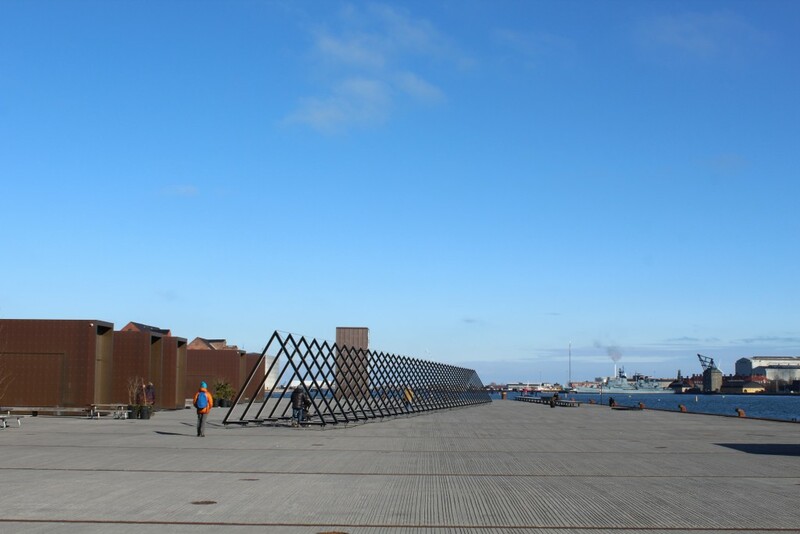 Inaugurated 5. september 2011 by Her Majesty Queen Margrethe 2 of Denmark. The national Monument of Denmark International Missions since 1948: ” A TIME. A PLACE , A PERSON, Kastellet, Copenhagen. 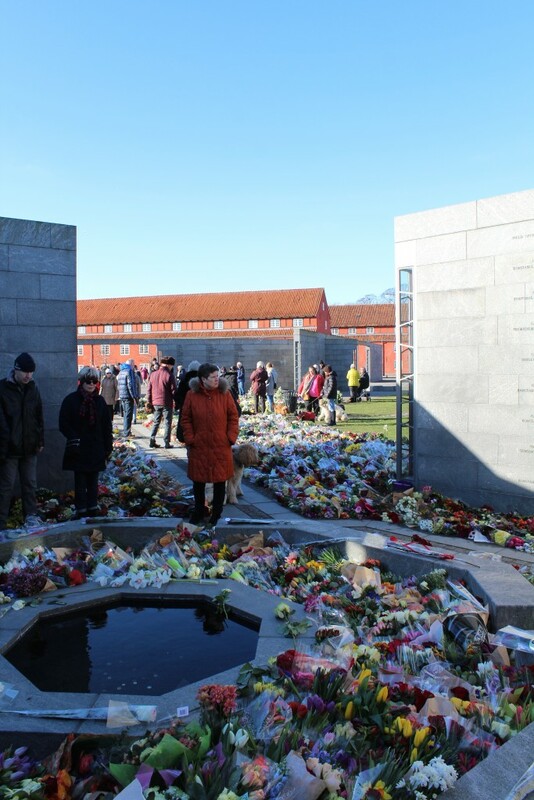 Inscriptions of names of danish personal army, police and rescue personals, who died in danish international missions since 1948 under command of United Nations (UN) Peace operations. SPACE: A TIME, SPACE: A PLACE , SPACE: A PERSON. National Monument of Danish Internal Missions since 1948. View to SPACE: A TIME (in front), SPACE: A PLACE (in middle) AND SPACE: A PERSON (in distance). 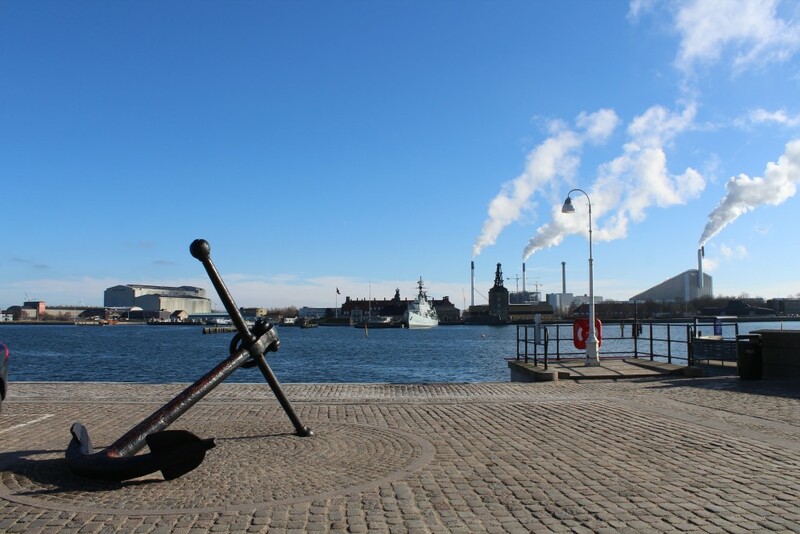 Photo 10 AM 22. february 2018 by Erik K Abrahamsen. 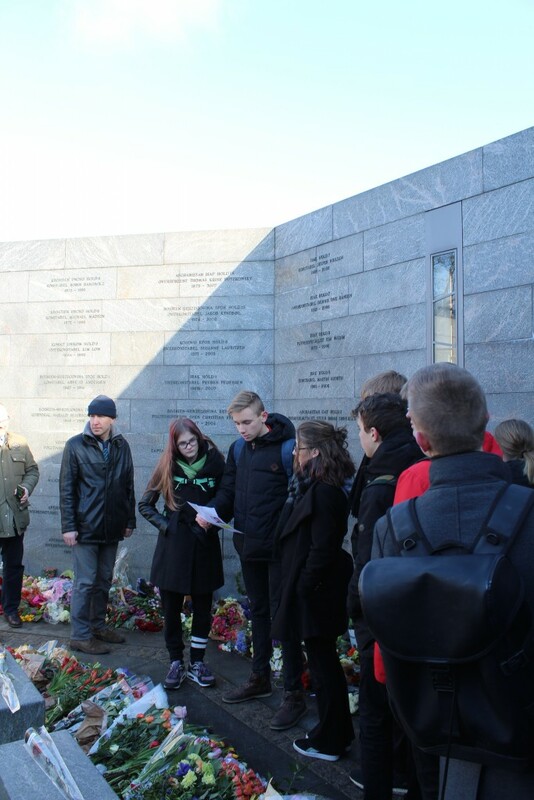 National Monument of Denmark International Missions. SPACE: A TIME. Photo 22. february 2018 by Erik K Abrahamsen. 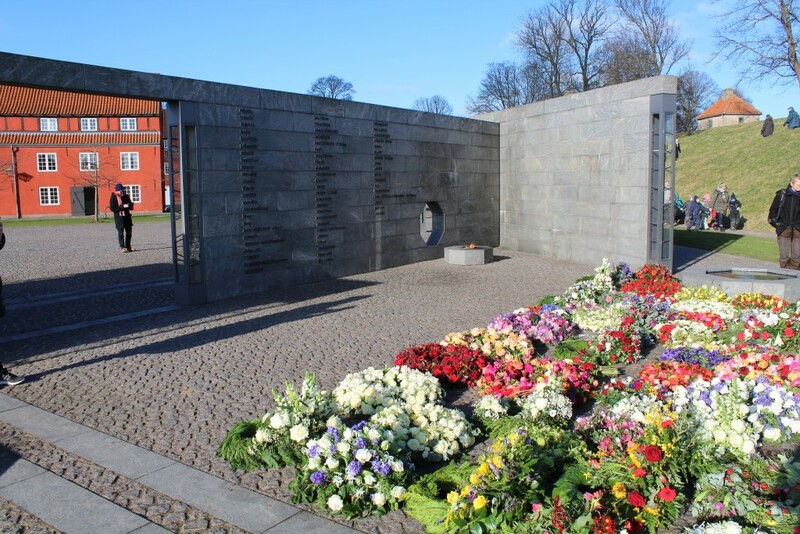 View to inscriptions of all danish international missions since 1948. National Monument of Denmark International Missions since 1948. SPACE: A PLACE. Photo 22. februar 2018 by Erik K Abrahamsen. SPACE: A PLACE (in front) and SPACE: A PERSON (in distance). National Monument of Denmark International Missions since 1948. Photo to SPACE: A PERSON. Photo in direction Princess Bastion with ramparts 10 AM 22. february 2018 by Erik K Abrahamsen. 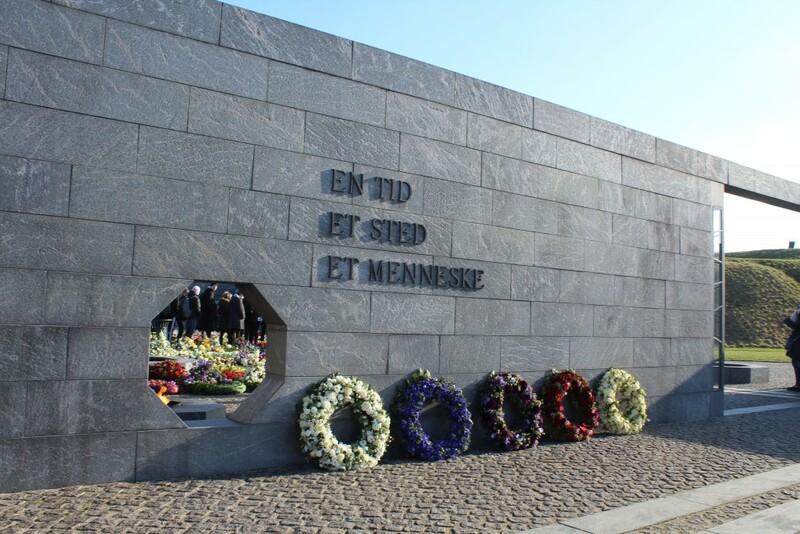 Monument Danmark International Missions since 1948 under Command of United Nations (UN) Peace Operations. SPACE: A PERSON. Inscriptions of wall of norwegin marble names of all danes – army, navy, air force, police and rescue personals, who died in combat operations since 1948. Photo 22. februar 2018 by Erik K Abrahamsen. 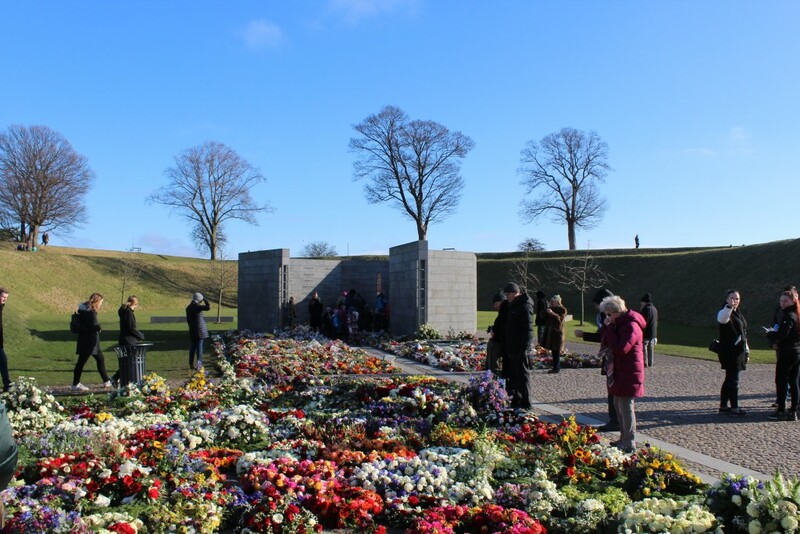 National Monument of Denmark Internati0nal Missions since 1948. A student read text of circumstances of a dane died in international missions since 1948 under Command of United Nations (UN) Peace Operations. Photo 22. february 2018 by Erik K Abrahamsen. National Monument of Denmark International Missions since 1948. SPACE: A PERSON: Phot 22. february 2018 by Erik K Abrahamsen. 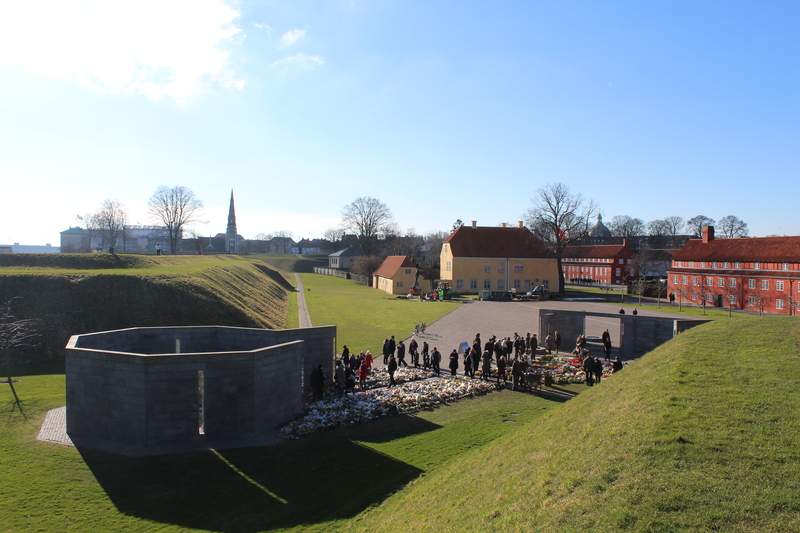 View from top of Princess Bastion to Fortress Kastellet with ramparts. 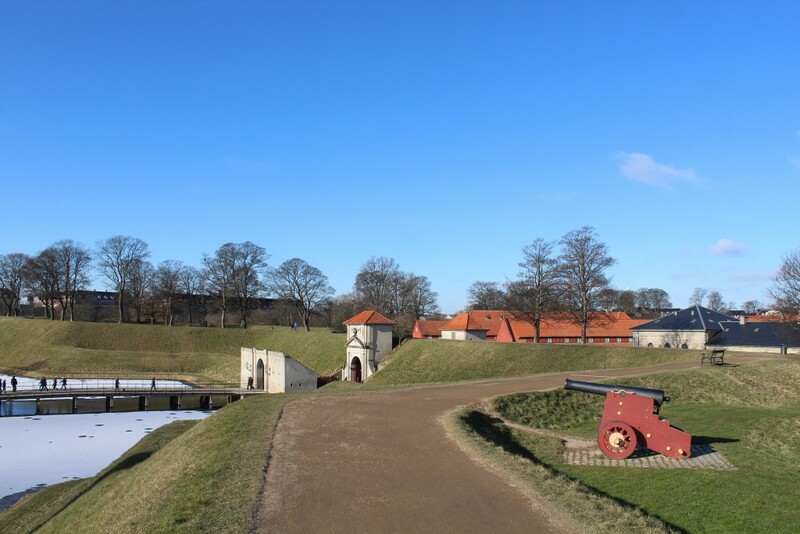 Fortress Kastellet with ramparts. View from top of Princess Bastion to National Monument of Denmark International Missions since 1948. Photo in direction south 22. february 2018 by Erik K Abrahamsen. 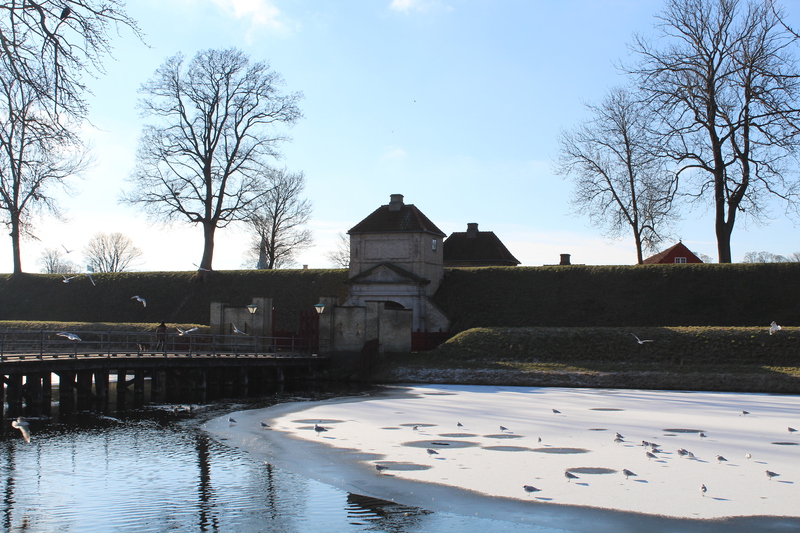 Fortress Kastellet with ramparts and moats. 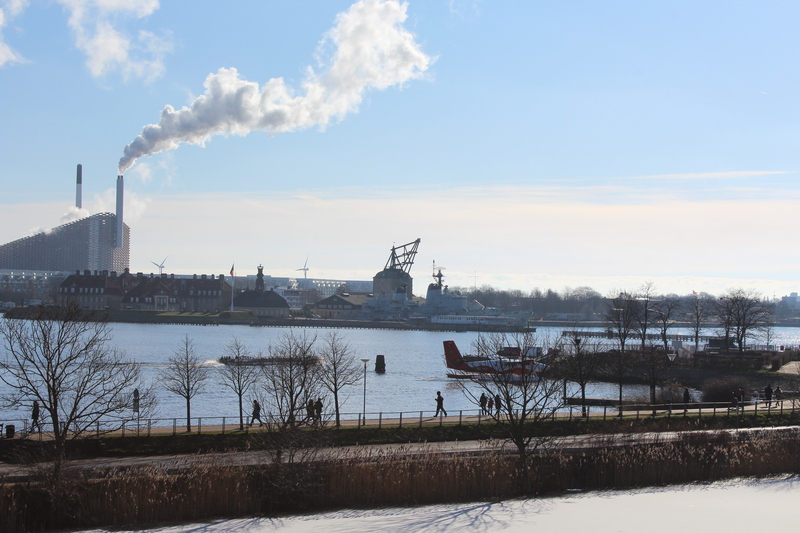 View in direction south to Copenhagen Inner Harbor with 2 cranes of former shipyard (1927-89) of Naval Base Holmen (1680-1989). Photo around 11.30 AM 22. february 2018 by Erik K Abrahamsen. Fortress Kastellet. 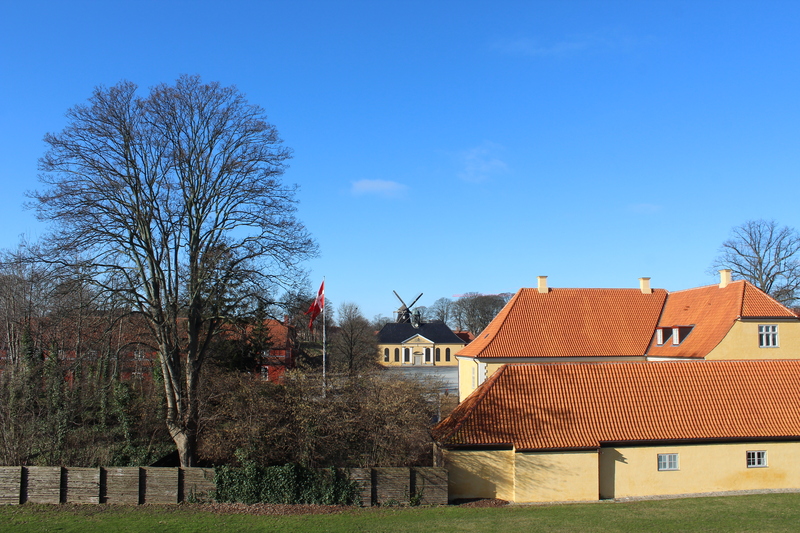 View to drill ground, Kastel Church (1703) with prison built 1725 behind and Holland windmill built 1847 on top of Kings Bastion. At right Commander Building built 1725. 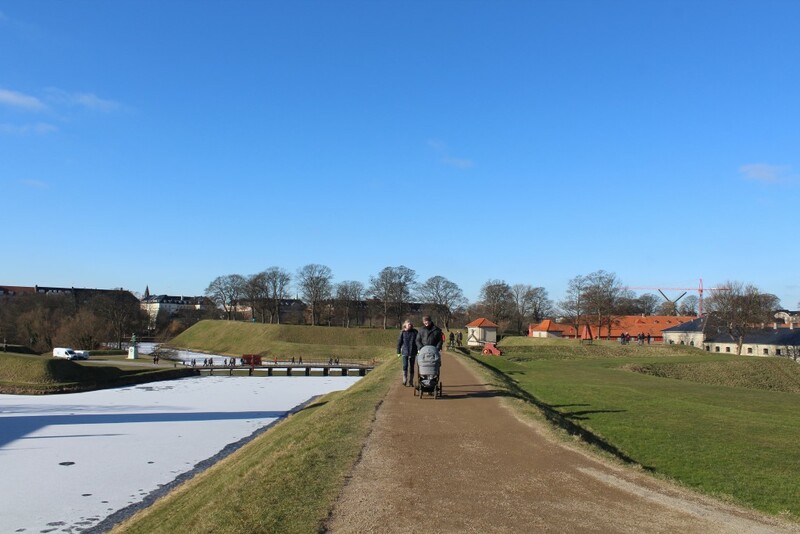 Photo in direction west to center of Fortress Kastellet 22. february 2018 by Erik K Abrahamsen. 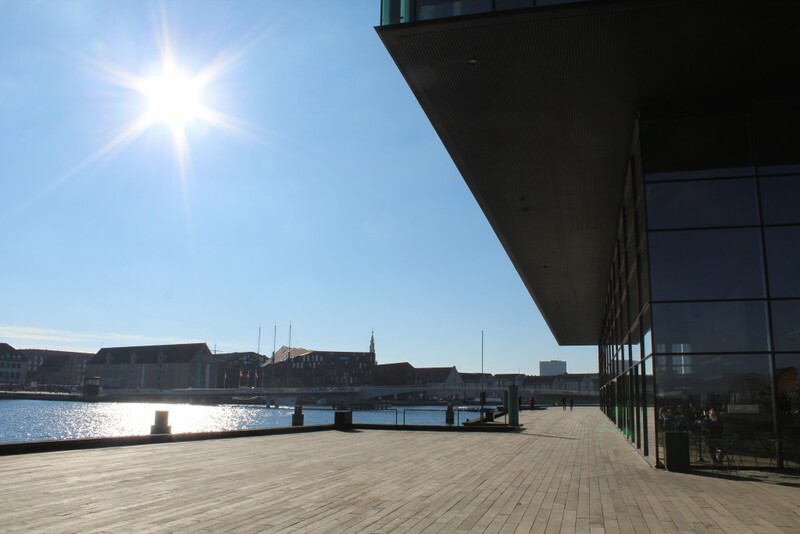 Seaplane terminal – flying route between Copenhagen Inner Harbour terminal and Aarhus Harbour Terminal. View to Copenhagen Inner Harbour, Seaplane terminal and Naval Base “Holmen” on island Nyholm from rampart of Fortress Kastellet. Photo in direction south 22. february 2018 by Erik K Abrahamsen. 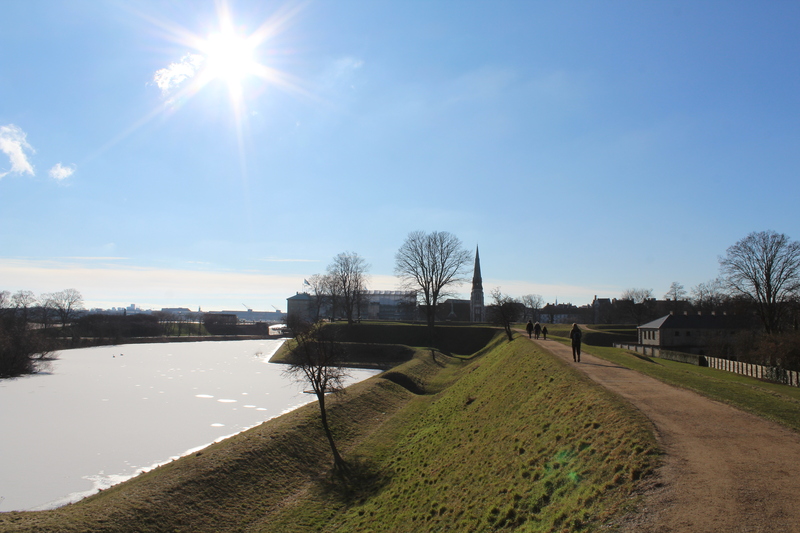 Fortress Kastellet.View from Count Bastion to main entrance Kings Gate “Kongeporten”, ramparts, moats and Queens Bastion. Photo 22. februar 2018 by Erik K Abrahamsen. 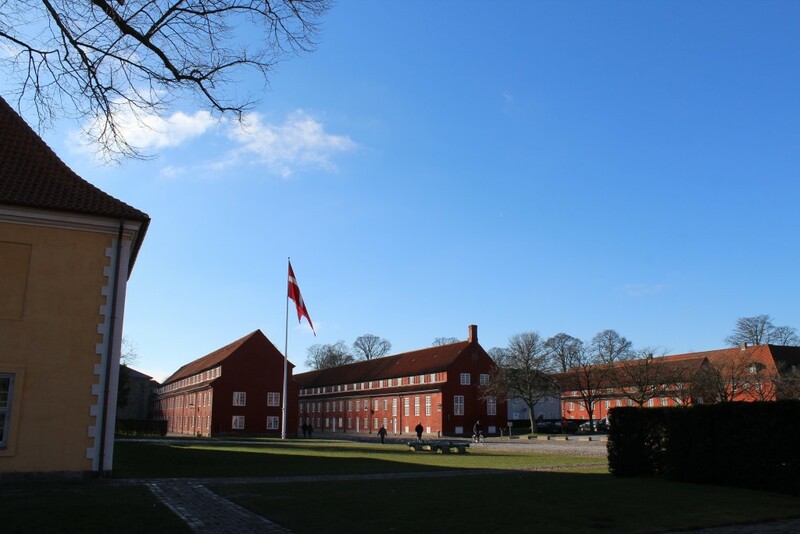 Fortrss kastellet. View from Count Bastion to main entrance Kings Gate “Kongeporten”, ramparts and moats.. Photo 22. frebruary 2018 by Erik K Abrahamsen. In distance 6o meter high dome of Marble Church built 1751-1892. View from top of Count Bastion to Sct. Alban Church built 1882, ramparts, ravelin, moats and entrance bridges to south side of Fortress Kastellet. In distance 60 m high dome of Marble Church built 1751-1892. Photo 22. februar 2018 by Erik K Abrahamsen. Monument sculpture of danes died during Second World War 1940-45. Fortress Kastellet. 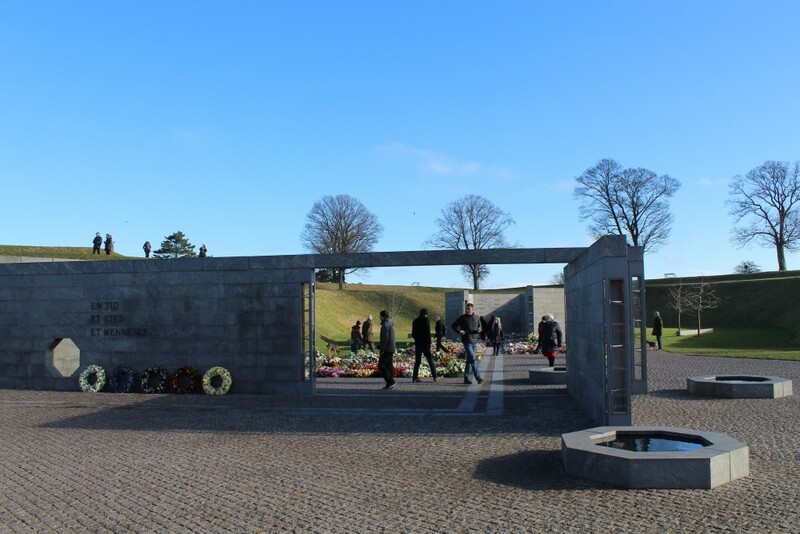 Monument of danes died under German occupation of Denmark and in allied duty under 2. World War 9. april 1940 – 5. may 1945. View to ravelin with bridges to entrance Kings Gate “Kongeporten”, ramparts and moats. Photo 22. february 2018 by Erik K Abrahamsen. Fortress Kastellet. 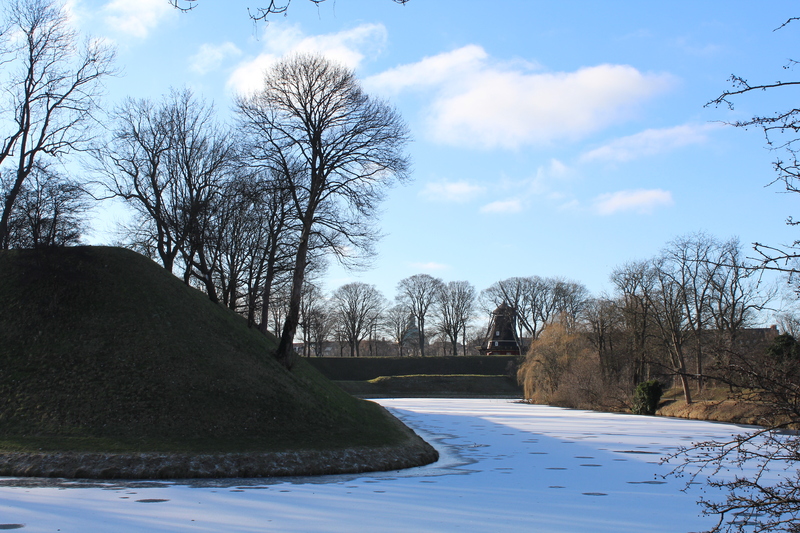 View to ravelin with bridges to south gate Kings Gate “Kongeporten”, ramparts and moats. Photo in direction north 22. february 2018 by Erik K Abrahamsen. 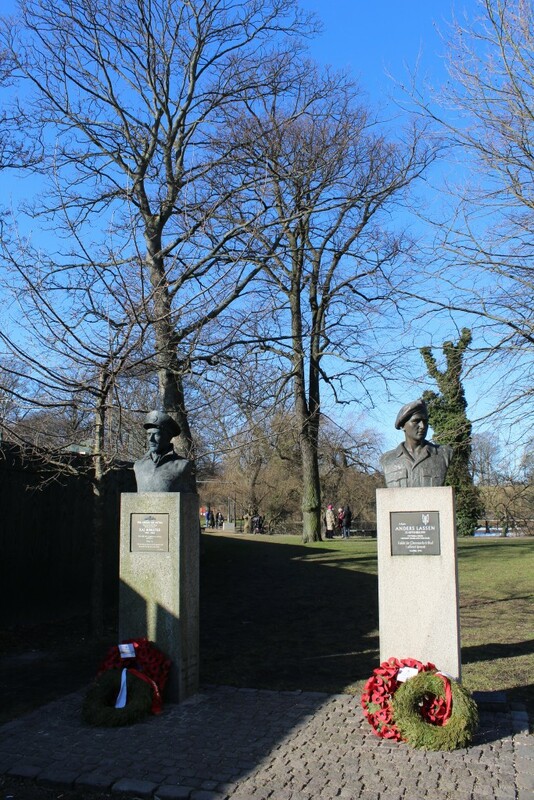 Churchill Park with scupltures of danish resistance soldier Anders Lassen died in allied duty under 2. World War 1940-45. Photo 22. february 2018 by Erik K Abrahamsen. På hjemmeværnets hjemmeside findes en artikel om Anders Lassens liv og helteindsats. under 2. versdenskrig: KLIK på: hjv.dk og klik derefter på Kategori “VIDEN OM”. Her skriver du Anders Lassen i SØGEFELT og du finder her artiklen: ” 6. december 2015 – Jul i den gamle fæstning Kastellet”. 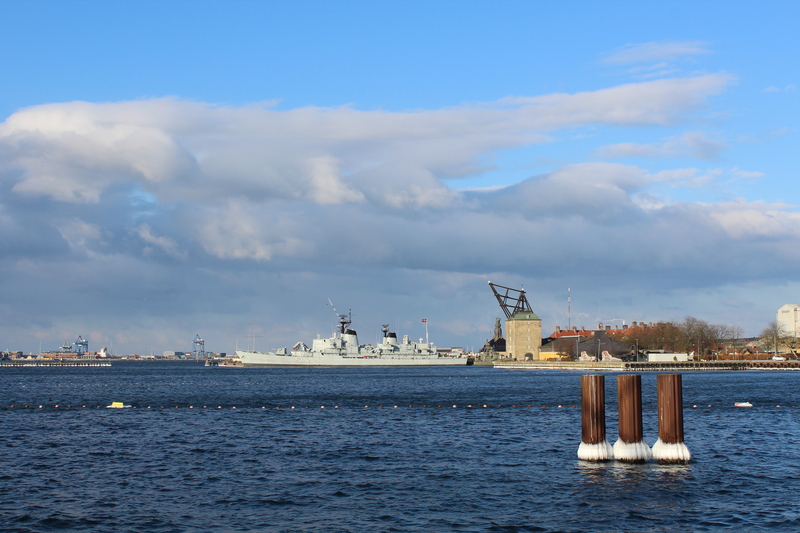 Former Naval Base Holmen 1680-1989 – today Navy Station Copenhagen (Marinestation København) on island Nyholm is protected area. View to former Naval Base “Holmen” 1680-1989 with museumship Peder Skram built 1965 and Mastekranen built 1751 on island Nyholm. Photo in direction south 22. february 2018 by Erik K Abrahamsen. Copenhagen Inner Harbour. 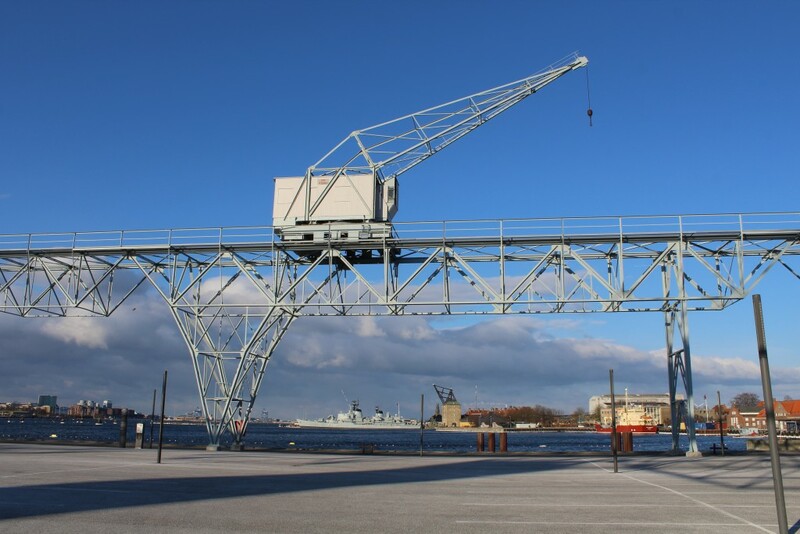 View to Copenhagen Opera and 2 cranes from former shipyard 1927-1989. At right Head Quarter A.P. Moeller Maersk. Photo in direction south-west around 11.45 AM 22. febrauary 2018 by Erik K Abrahamsen. Copenhagen Inner Harbour. View to Copenhagen Opera and former Naval Shipyard 1927-89. Photo in direction south-east 11.45 AM 22. february 2018 by Erik K Abrahamsen. 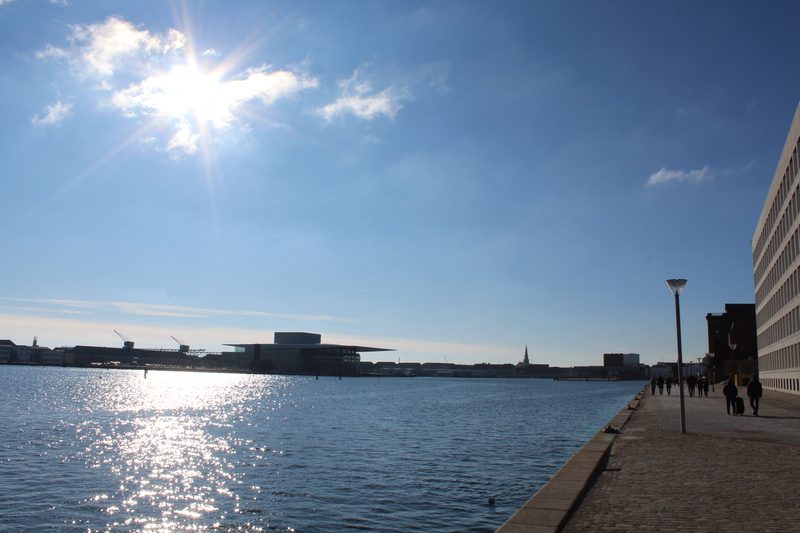 Copenhagen Inner Harbour. View to 3 storehouses built 1790-1800 and bronze statue by Michelangelo “David”, copy 1505. 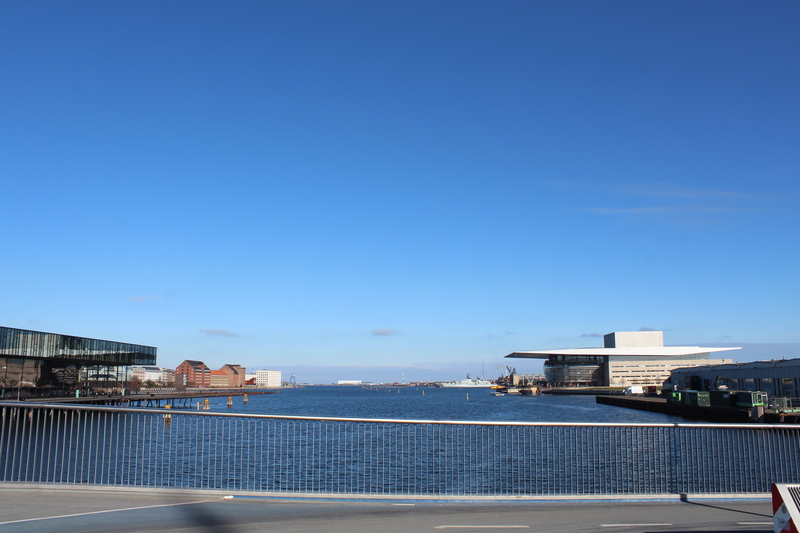 At left Ofelia Place “Kvæsthusbroen” with Copenhagen Theatre built 2004-07. Photo 22. february 2018 by Erik K Abrahamsen. Copenhagen Inner Harbour. View to entrance to harbour, former Naval Base Holmen 1680-1989, Mastekranen built 1751 and Store House built 1790-1800 with bronze statue “David”, copy 1505 by Michelangelo. Photo 22. february 2018 by Erik K Abrahamsen. 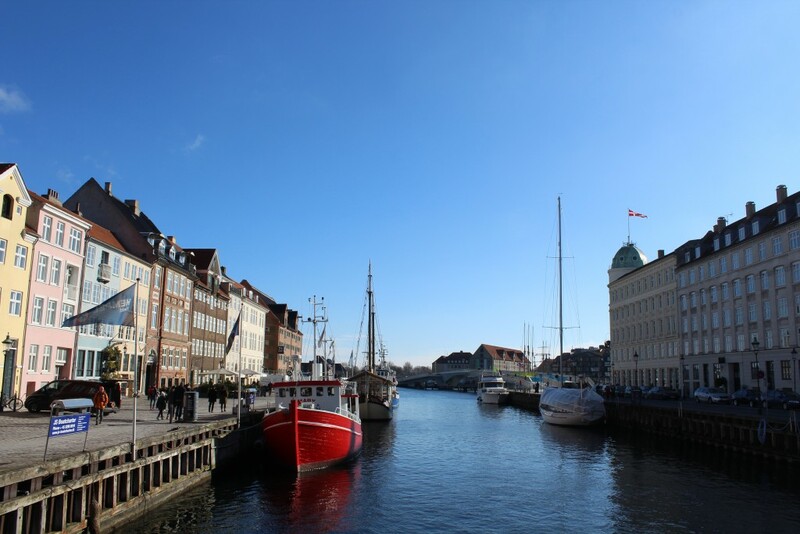 Copenhagen Inner Harbour. 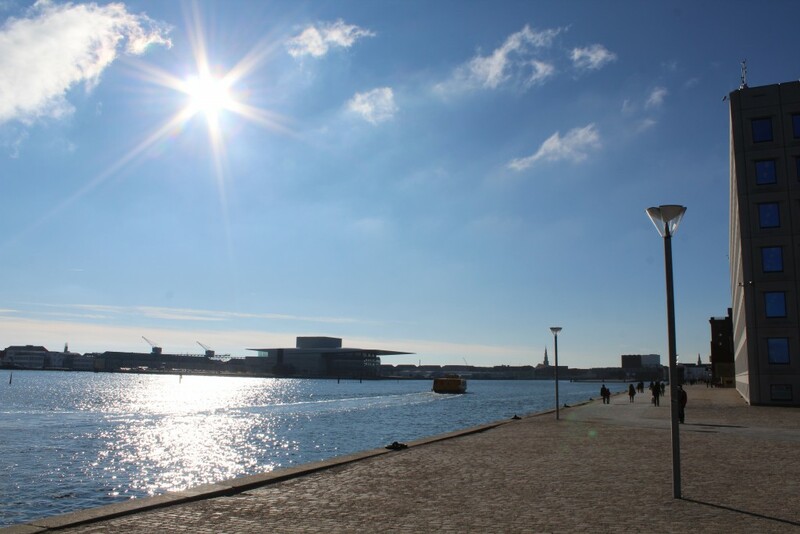 View to Copenhagen Opera and Ofelia Place on “Kvæsthusbroen” at right. Photo around 11.50 AM 22. february 2018 by Erik K Abrahamsen. View to equestrian statue by King Frederik 5 by sculptor Saly 1770 and Marble Church (Frederikskirken) built 1751-1892. 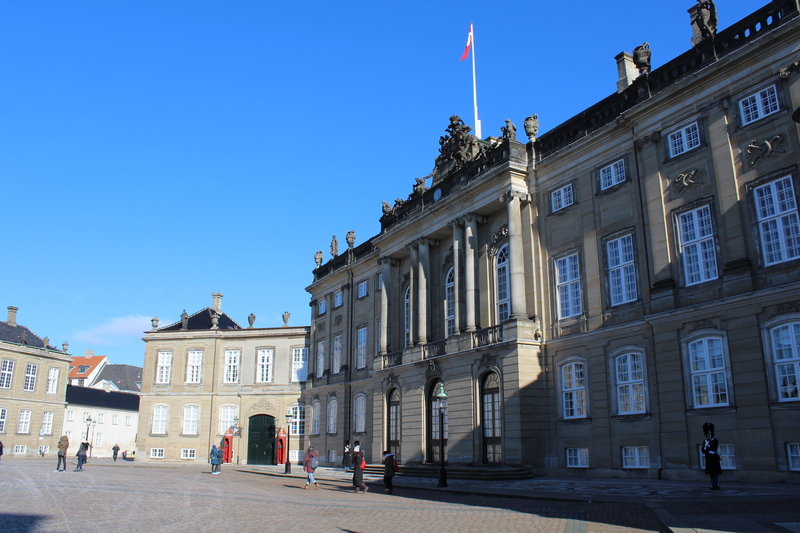 Amalienborg Royal Palaces built 1751-60. 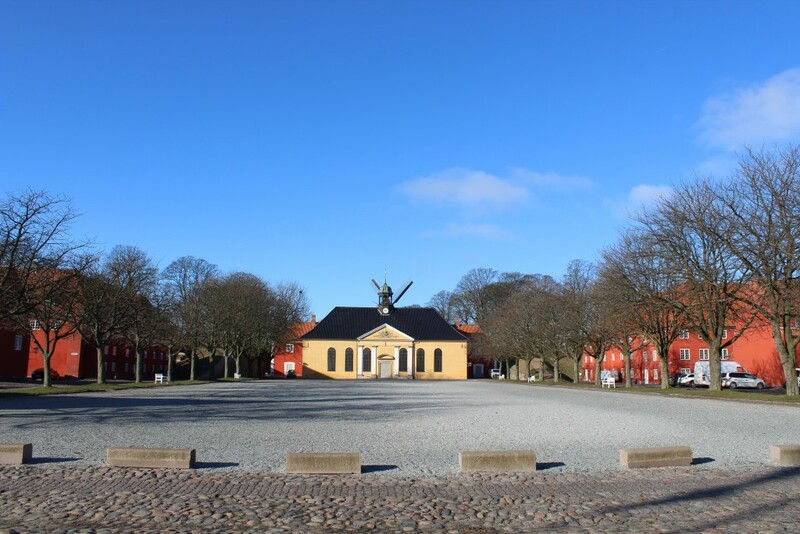 Photo in direction to equestrian statue of King Frederik 5 by sculptor Saly 1770. Photo 22. february 2018 by Erik K Abrahamsen. 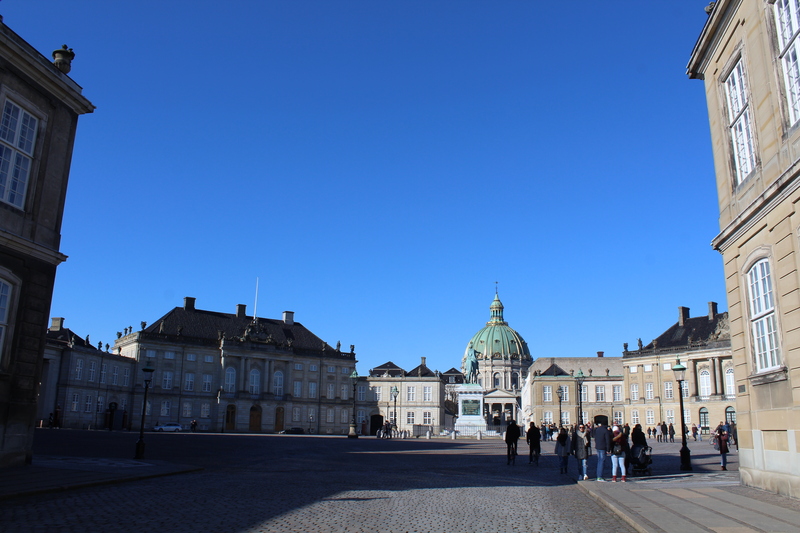 Amalienborg Royal Palaces. View to Brockdorff Palace. Photo 22. february 2018 by Erik K Abrahamsen. Amalienborg Royal Palaces. 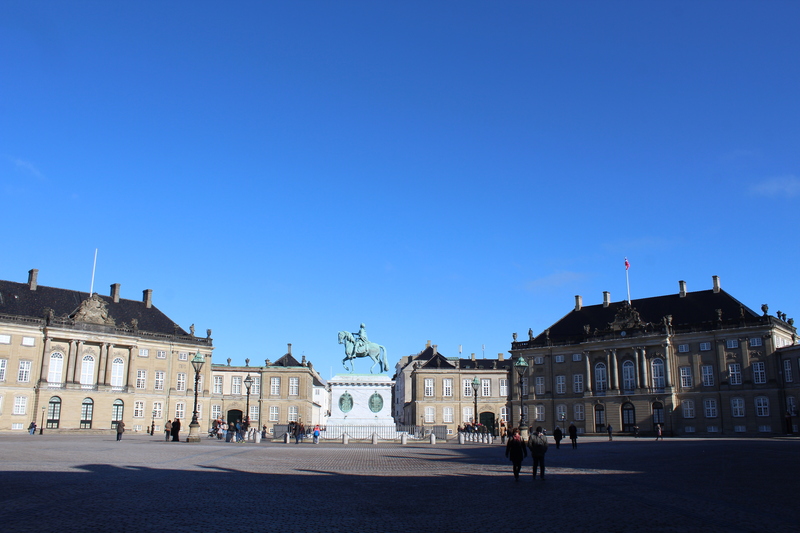 View to equesterien state by King Frederik 5 by sculptor Saly 1770 and Brockdorff Palace. Photo 22. february 2018 by Erik K Abrahamsen. 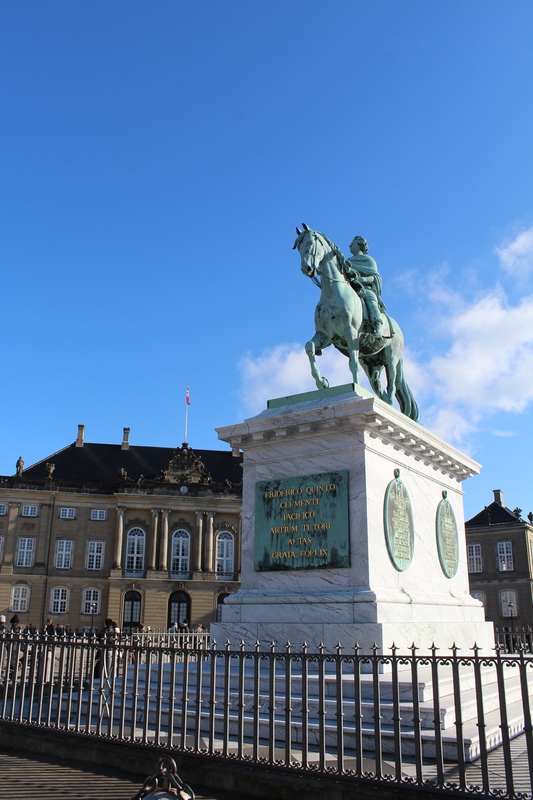 Amalienborg Royal Palaces with equestrian statue by Kind Frederik 5 by sculptor Saly 1770. Photo indirection north 22. february 2018 by Erik K Abrahamsen. Copenhagen Inner Harbour. View to Ofelia Place, “Kvæsthusbroen” and former Naval Base “Holmen” 1680-1989 on island Nyholm. View in direction east 22. february 2018 by Erik K Abrahamsen. Copenhagen Inner Harbour. 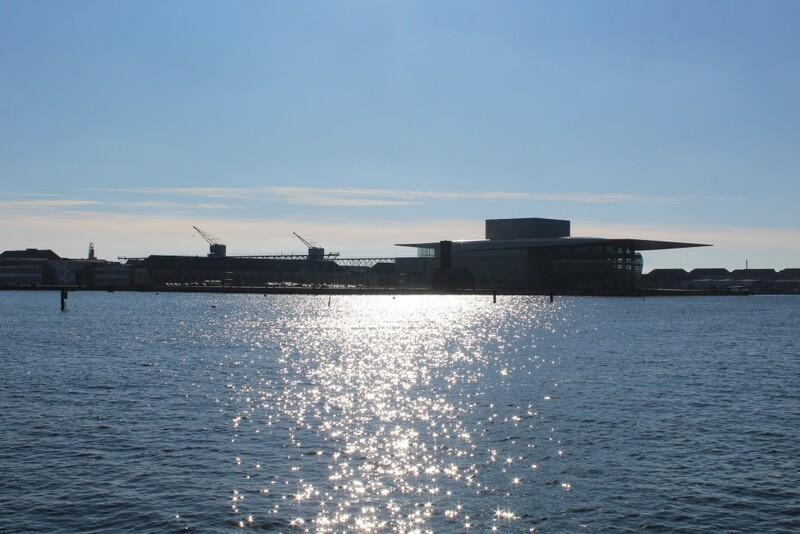 View to Copenhagen Opera built 2002-04 and former Naval Base “Holmen” 1680-1989 on island Nyholm. Photo in direction east 22. january 2018 by Erik K Abrahamsen. View to New Copenhagen Theatre built 2004-07 and new 180 meter long walk-and bike slide bridge “Inderhavnsbroen” connecting Nyhavn and Christianshavn. At left Greenland Trading Company store house built 1765-67 on Nordatlantens Brygge. Copenhagen Inner Harbour. View on right to new Copenhagen Theatre built 2004-07 and new 180 m long walk-and bike slide bridge connecting Nyhavn and Christianshavn. At left Greenland Trading store house built 1765-67 on Nordatlantens Brygge on Christianshavn. Photo around 12.00 PM 22. january 2018 by Erik K Abrahamsen. At left spire of Our Saviour Church (Vor Frelsers Kirke) built 1682-94 and at right spire of Christians Church built 1755-59 by architect Nicolai Eigtved (1701-54) on Christianshavn. Copenhagen Inner Harbour. 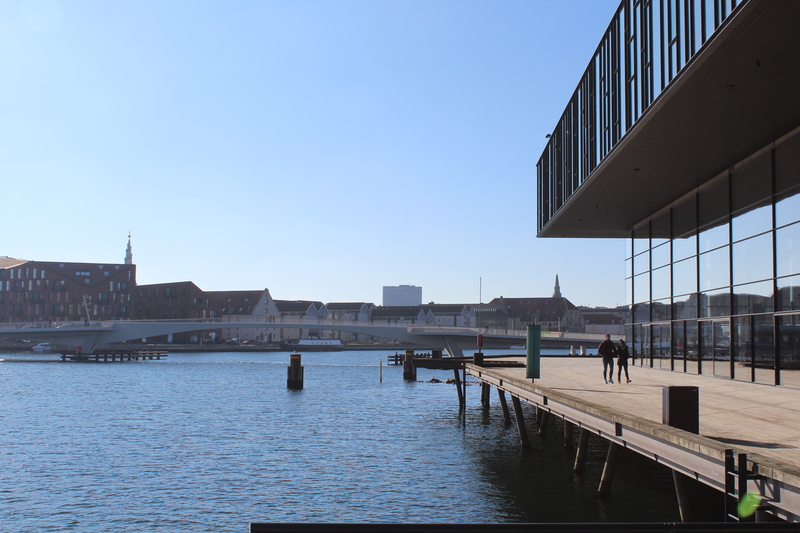 View to new 180 m walk- and bike slide bridge “Inderhavnsbroen” built 2011-16 connecting Nyhavn and Christianshavn. At right new Royal Theatre built 2004-07. At left spire of Our Saviour Church built 1682-94 on Christianshavn. Photo around 12.00 AM 22. february 2018 by Erik K Abrahamsen. Copenhagen Inner Harbour. 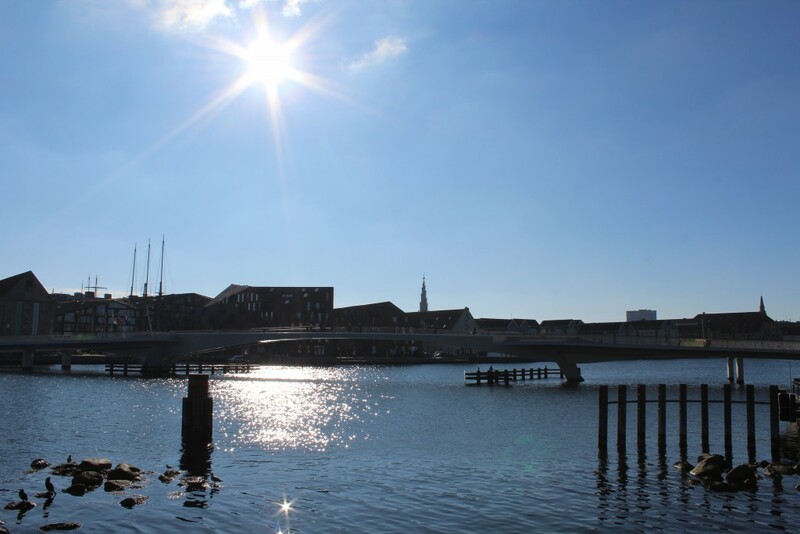 View to new 180 meter long walk-and bike slide bridge “Inderhavnsbroen” connecting Nyhavn and Christianshavn. Copenhagen Inner Harbour. 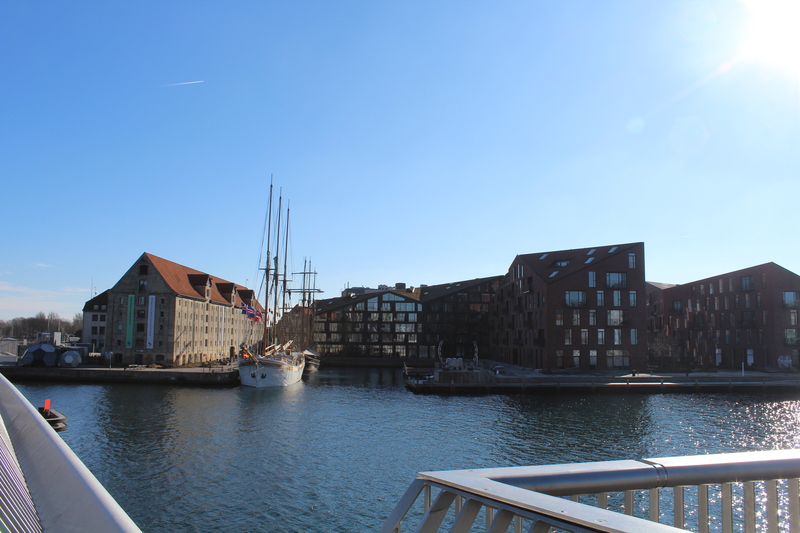 View to new 180 m long walk- and bike slide bridge connecting Nyhavn and Christianshavn. Photo in direction west around 12.05 PM 22. february 2018 by Erik K Abrahamsen. Copenhagen Inner Harbour. Canal Nyhavn with store house Nyhavn 71 built 1805. Photo in direction north around 12.10 PM 22. february 2018 by Erik K Abrahamsen. 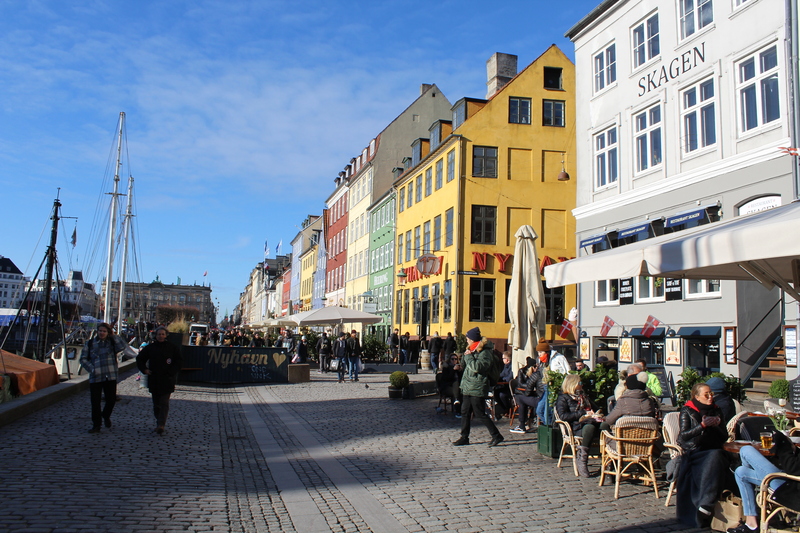 Nyhavn “sunny side” – anno 2018 Winter. 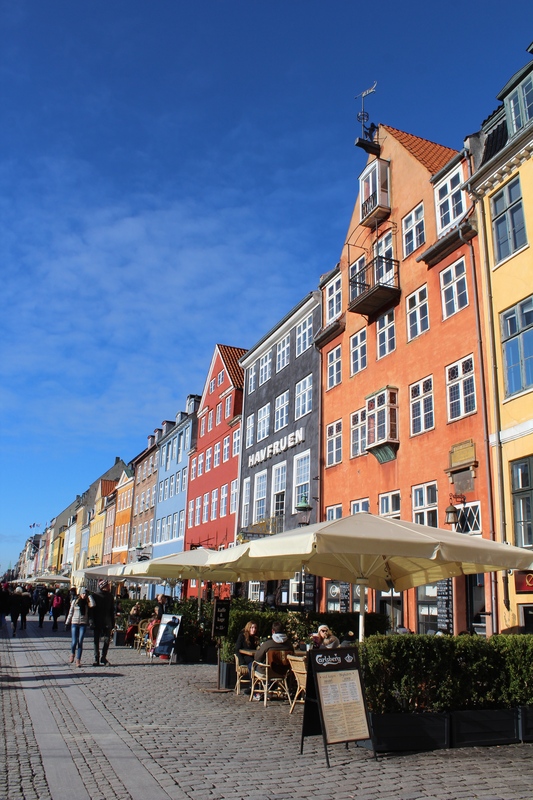 Nyhavn “Sunny Side”. Former store houses for trade built 1750-1800 close to wharf. Photo in direction north 22. february 2018 by Erik K Abrahamsen. Copenhagen Inner Harbour. 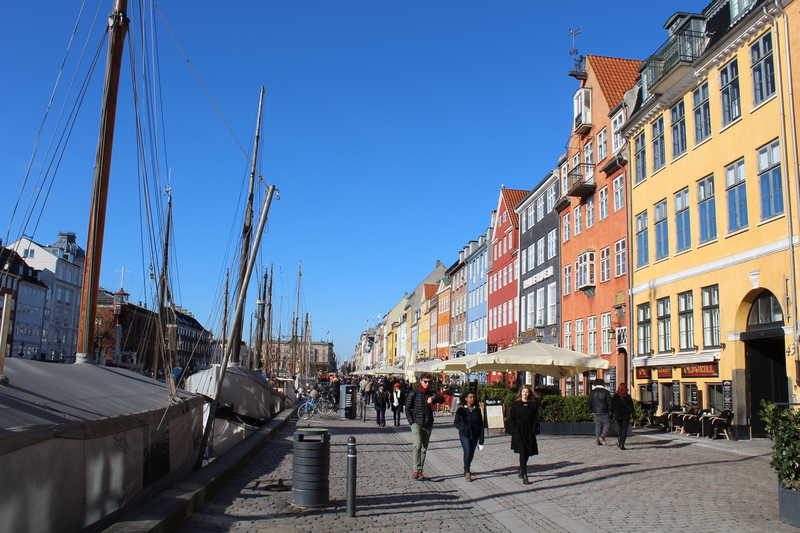 Nyhavn Canal. View to new 180 m long walk-and bike slide bridge connecting Nyhavn and Christianhavn i middle of photo. View in direction south 22. february 2018 by Erik K Abrahamsen. Copenhagen Inner Harbour. View from new 180 m long walk-and bike slide bridge to at left New Royal Theatre built 2004-07, Ofelia Place on Kvæsthusbroen, 3 store houses built 1790-1800, Naval Base Holmen 1680-1989 with Museumship Peder Skram built 1965, Mastekranen built 1751, Naval Shipyard 1927-89, New Dock with Pump House built 1858 and New Copenhagen Opera built 2002-04 by architect Henning Larsen. 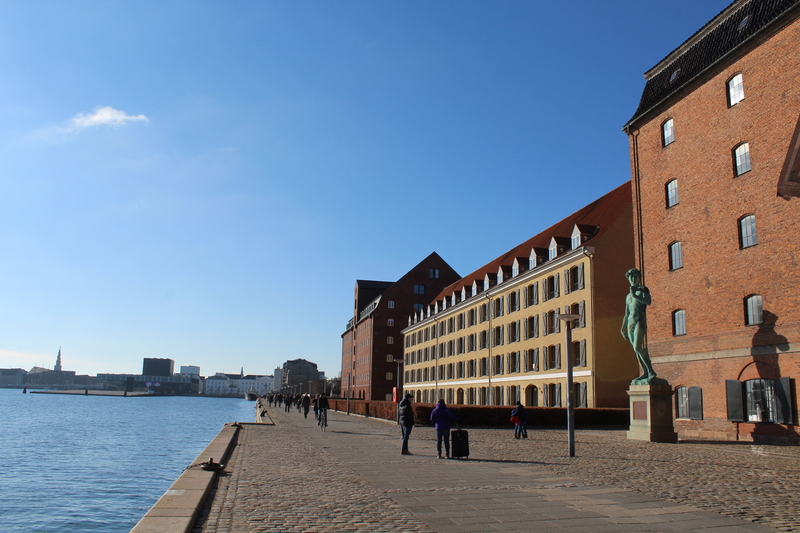 Copenhagen Inner Harbour. 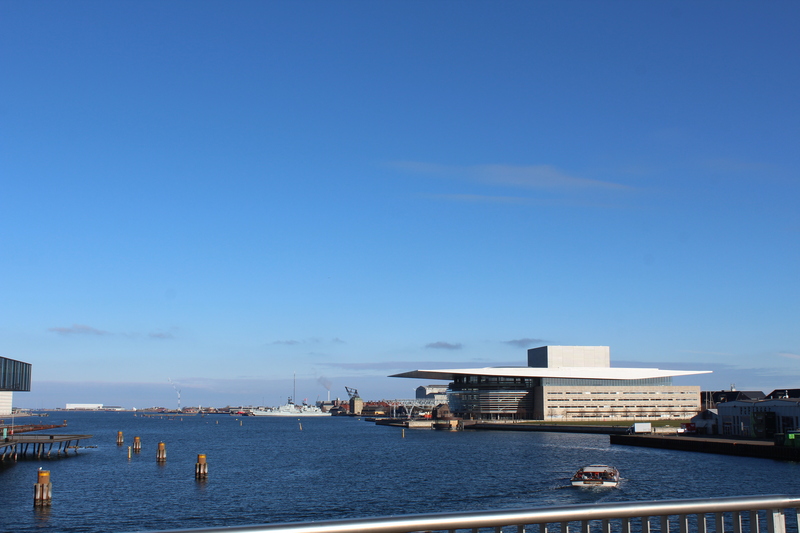 View in direction east from new 180 m long walk-and bike slide bridge to at left New Royal Theatre built 2004-07, Ofelia Place on Kvæsthusbroen, 3 store houses built 1790-1800, Naval Base Holmen 1680-1989 with Museumship Peder Skram built 1965, Mastekranen built 1751, Naval Shipyard 1927-89, New Dock with Pump House built 1858 and New Copenhagen Opera built 2002-04. by architect Henning Larsen. Photo 12.15 PM 22. february 2018 by Erik K Abrahamsen. Copenhagen Inner Harbour. View from new 180 m long walk-and bike slide bridge to Naval Base Holmen 1680-1989 with Museumship Peder Skram built 1965, Mastekranen built 1751, Naval Shipyard 1927-89, New Dock with Pump House built 1858 and New Copenhagen Opera built 2002-04 by architect Henning Larsen. Copenhagen Inner Harbour. View from Inderhavnsbroen to former Naval Base Holmen 1680-1989, Museumship Peder Skram built 1965, Mastekranen built 1751, former Naval shipyard with 2 cranes 1927-89, New Dock with Pump house built 1858 and New Copenhagen Opera built 2002-04 by architect Henning Larsen. 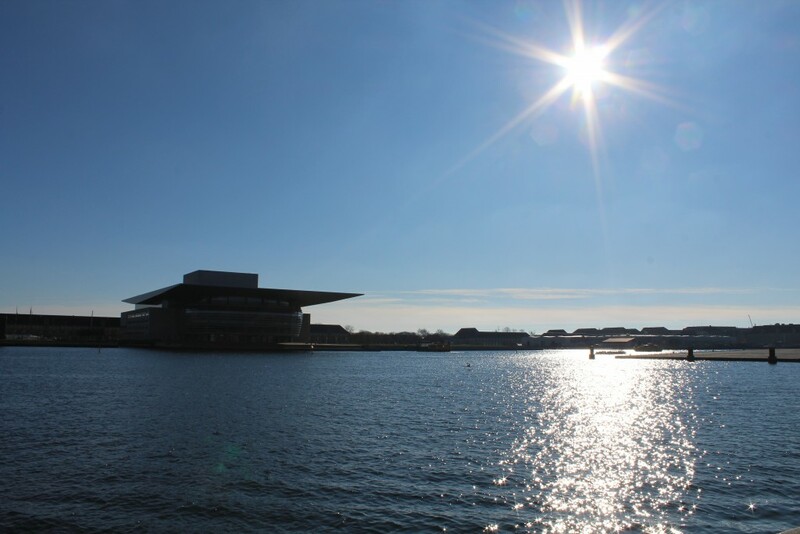 Photo in direction east to entrance Fortress “Trekroner” of Copenhagen Harbor 22. february 2018 by Erik K Abrahamsen. Copenhagen Inner Harbour. 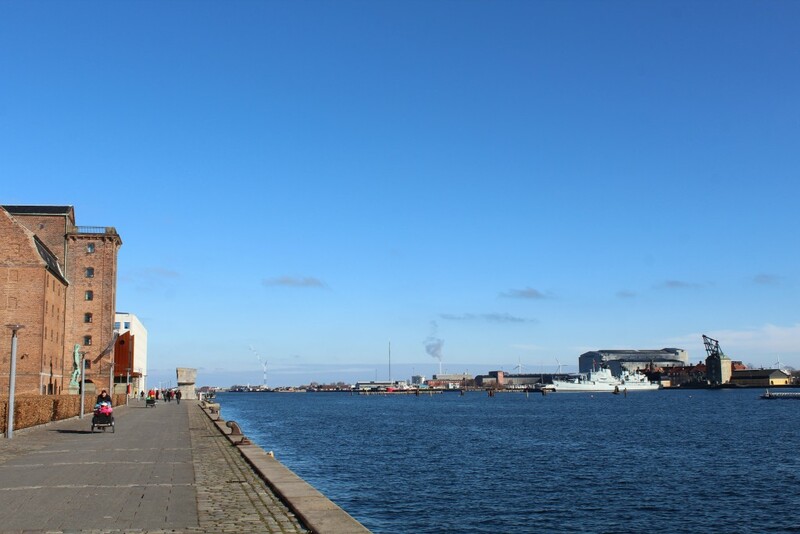 View from former Naval Shipyard 1927-89 to former Naval Base “Holmen” – today Marine Station Copenhagen with Museumship “Peder Skram” built 1965, Hovedvagten “Under Kronen” and Mastekranen built 1751. Photo in direction east around 3.30 PM 28. february 2018 by Erik K Abrahamsen. View from Inderhavnsbroen to Nordatlantens Brygge with Greenland Trading Company store house built 1765-67 and new domestic houses on Krøyers Square in Christianshavn. View from Inderhavnsbroen to Nordatlantens Brygge with Greenland Trading Company store house built 1765-67 and new domestic houses on Krøyers Square in Christianshavn. Photo in direction south 12.45 PM 22. february 2018 by Erik K Abrahamsen. Copenhagen Inner Harbour. 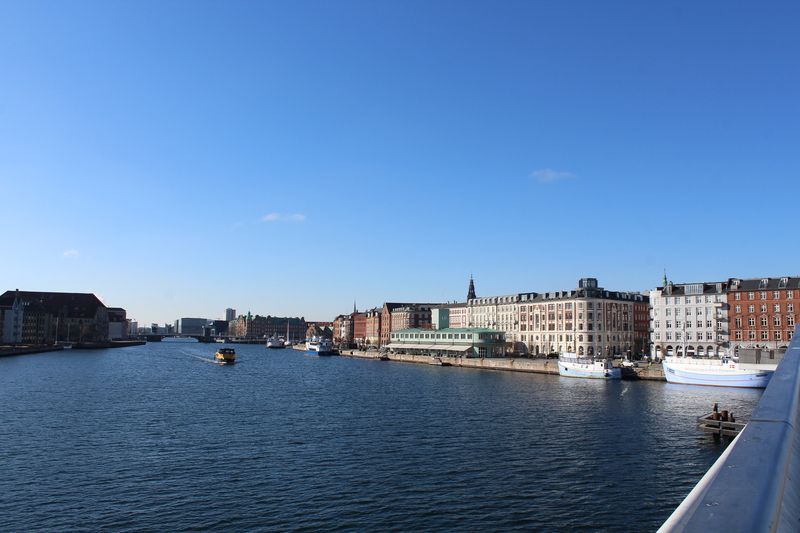 View from Inderhavnsbroen to at left Christianshavn, Knippelsbro , Spire on Christiansborg Castle and houses on quarter Gammelholm. Copenhagen Inner Harbour. View from Inderhavnsbroen to at left Christianshavn, Knippelsbro , Spire on Christiansborg Castle and houses on quarter Gammelholm. Photo in direction west 22. february 2018 by Erik K Abrahamsen. Nyhavn Canal built 1672-74 for trade. In distance main square Kongens Nytorv. Photo in direction north 12.45 PM 22. february 2018 by Erik K Abrahamsen. 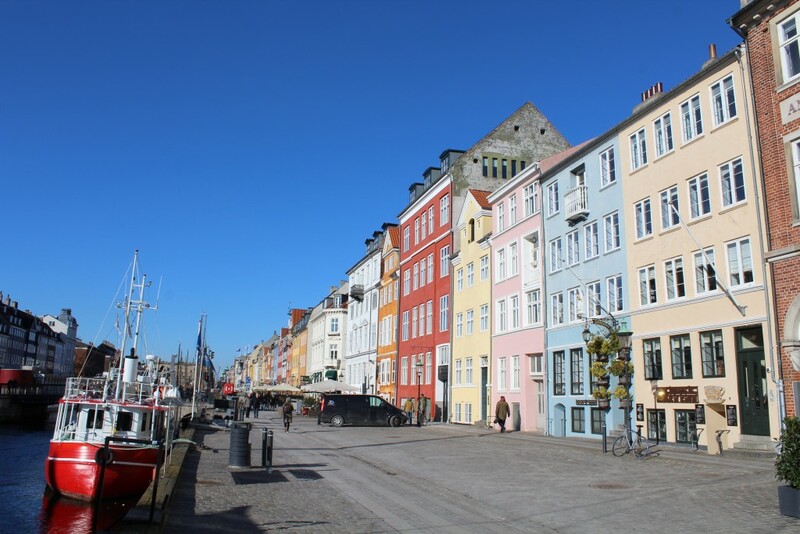 Nyhavn “Sunny Side”. Store houses for trade built 1750-1800 close to wharf. Photo in direction north 22. february 2018 by Erik K Abrahamsen. Nyavvn sunny side. View to old store houses close to wharf. Photo in direction north 22. february 2018 by Erik K Abrahamsen. 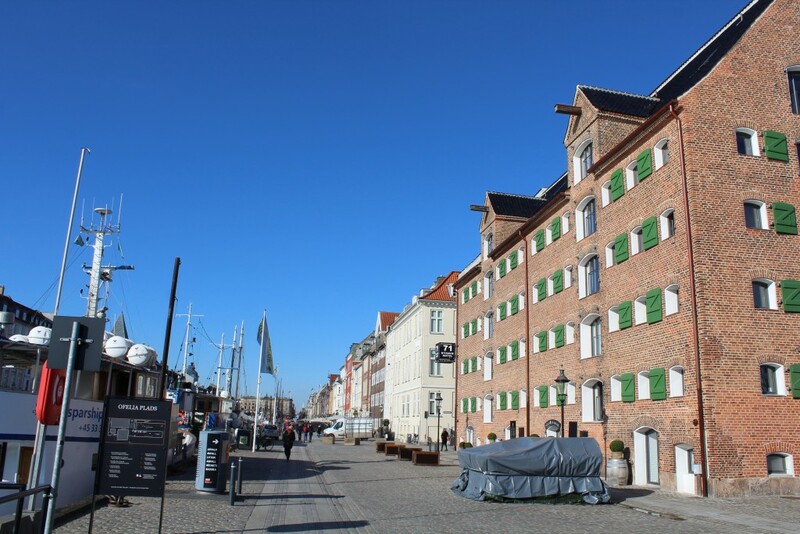 Nyhavn “sunny side” – anno Winter 2018. Nyhavn “Sunny Side”. View to old store houses for trade close to wharf of canal. Photo in direction north 22. february 2018 by Erik K Abrahamsen. 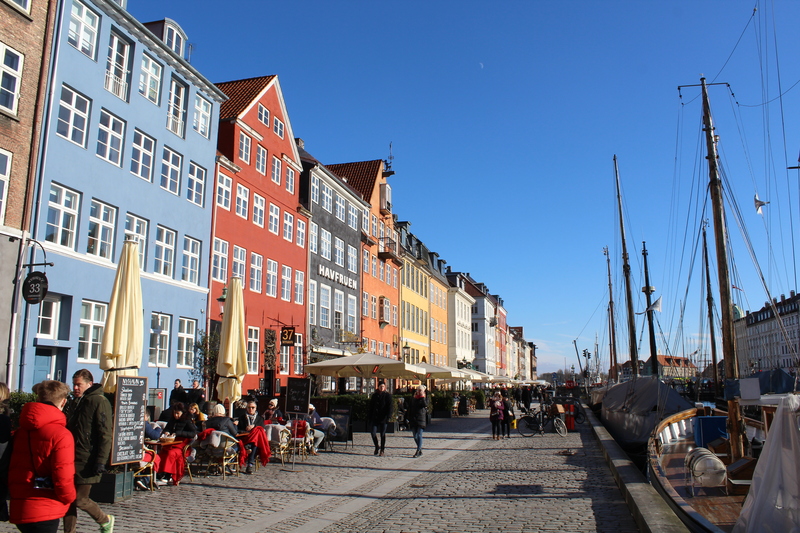 Nyhavn Sunny Side. View to old store houses for trade close to wharf. Photo in direction south 22. february 2018 by Erik K Abrahamsen. 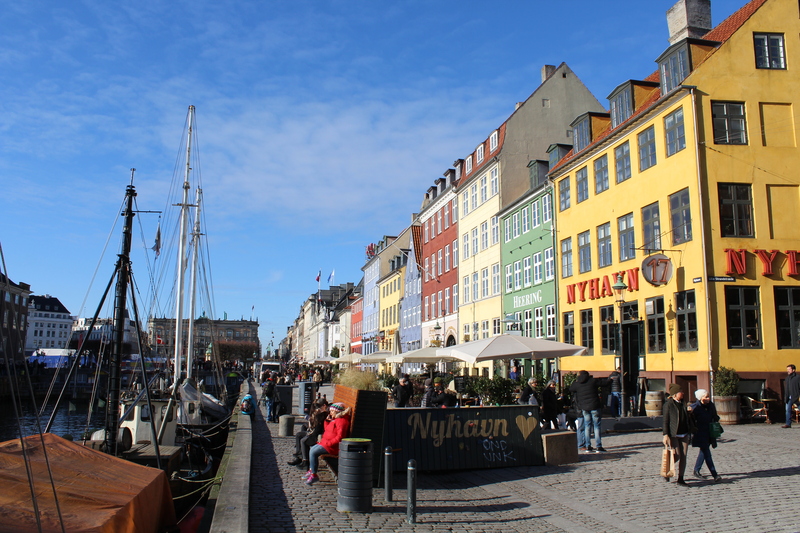 Nyhavn “Sunny Side”. View to old store houses for trade built 1685-1800 close to wharf. Photo in direction north 22. february 2018 by Erik K Abrahamsen. Nyhavn Sunny Side. 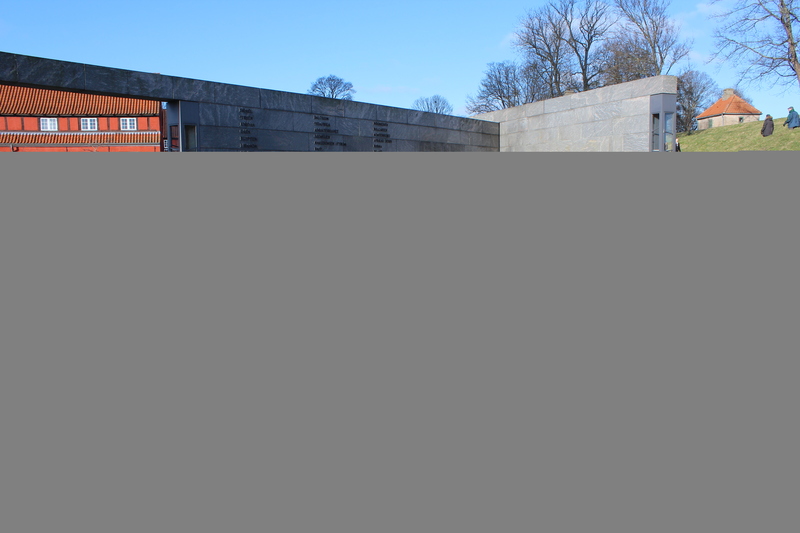 View to safety concrete barracks as bench, flowers and climbing wall for children. Photo in direction north 22. february 2+08 by Erik K Abrahamsen. Kongens Nytorv built 1670 by Christian 5 (King of Denmark and Norway 1670-99). Kongens Nytorv. 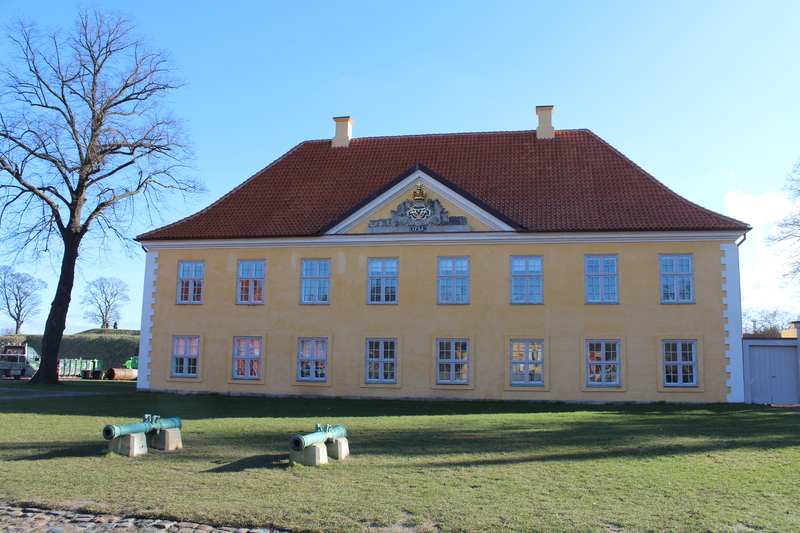 Thott Palace built 1683 by Admiral Niels Juel. 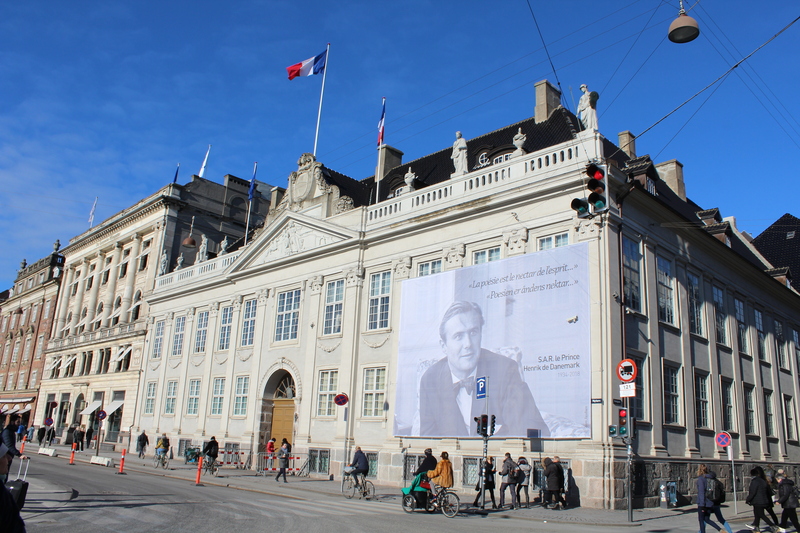 Today French Embassy since 1930. Photo around 1.00 PM 22. february 2018 by Erik K Abrahamsen. 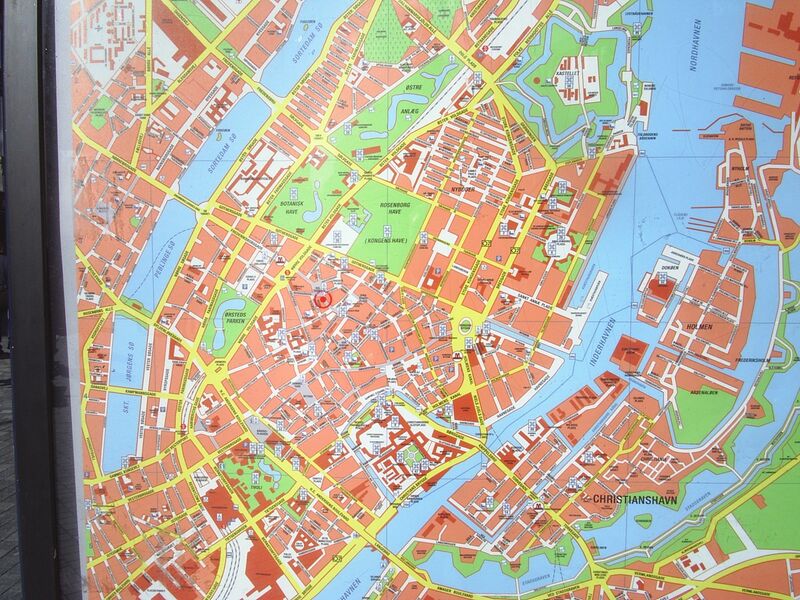 Map of Copenhagen City. Photo by Erik K Abrahamsen 2014.